Since this will be somewhat of a production run, I took a hard look at how to economize the materials. I found that, by adjusting the size slightly, the width of a standard small roll of shoji paper would cover the height of a frame. This means almost no waste of paper. The other thing I realized is that by rotating the grid 90deg, so that the grid is running at 30deg to the base, my grid pieces could be much shorter and I could get away with only three half-lap joints per piece. More on that below. The frame material can be culled from an inexpensive 1x12x8ft board from the big box store. Providing I am careful in my selection. 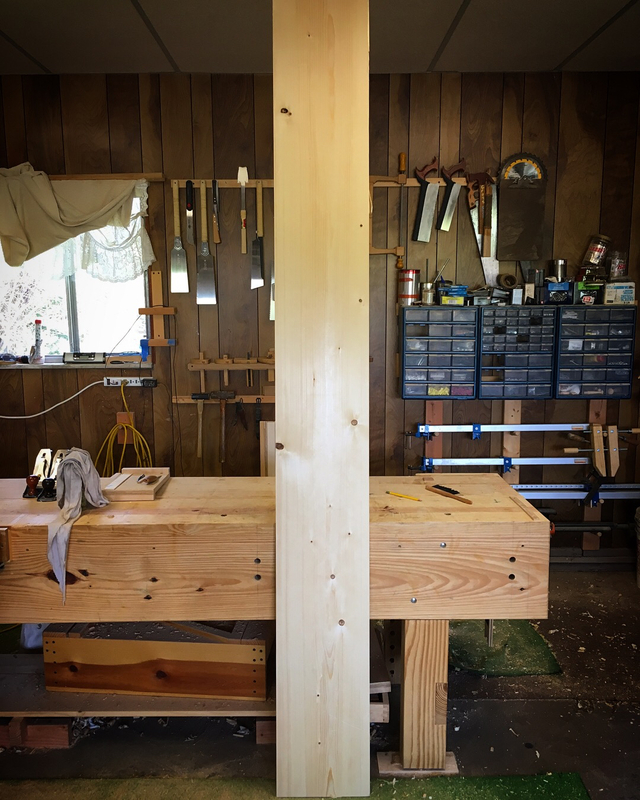 The grid pieces can be had from a 1/4x3x8ft piece of pine millwork. This board will generate enough pieces for three and a half grid assemblies. For the kumiko infill I’m reverting back to my original experiment and using popsicle sticks. This next andon started at the big box store. At the very end of the lumber isle of my local store there is a section of 1x12x8ft boards labeled “utility shelving”. These board are generally ugly. Chunks missing, long splits and knots as big as my head. However, occasionally there is a gem or two hiding in the pile and I pulled one out this last trip and drug it home. 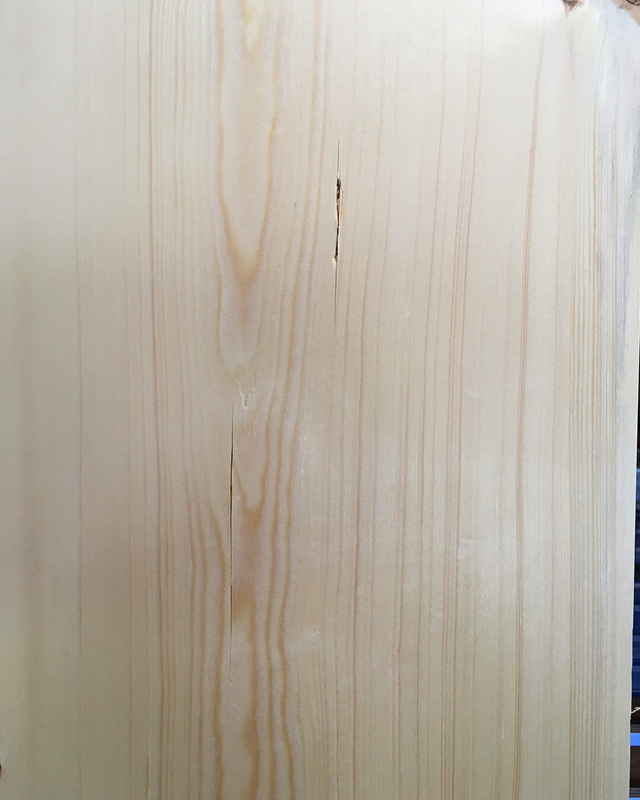 Not too many knots and only a few checks, but the wood in between is some tight, straight grained stuff. After breaking it down on my old table saw, this is what I had. I spent several evenings running these pieces through my thicknessing jig so that they were ready to be used. 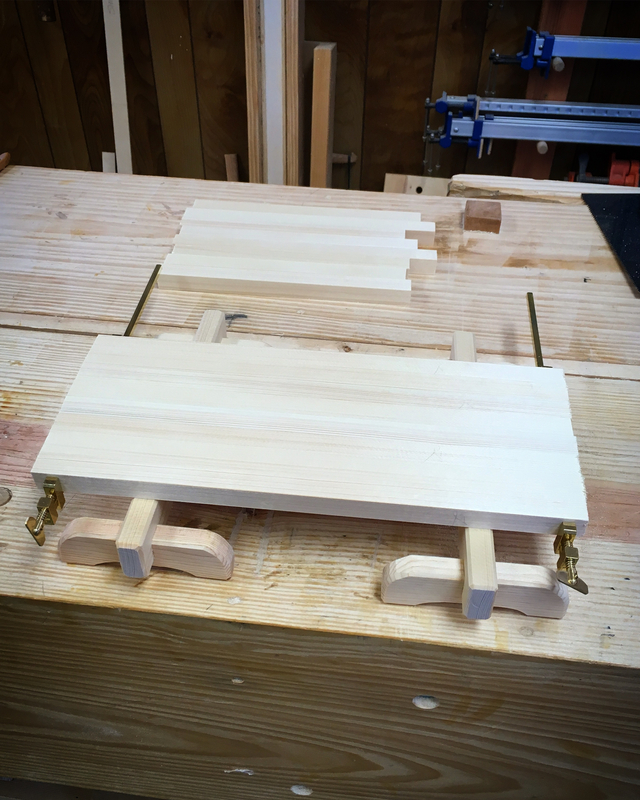 Before starting the next andon I built a pair of bench top horses and purchased a pair of small brass bar clamps. These will make ganging the small parts together for layout and sawing much easier. 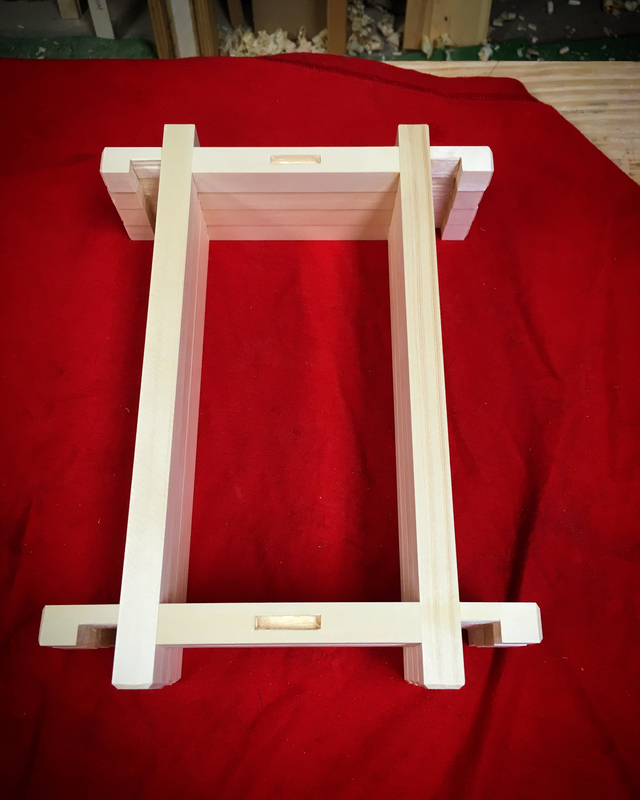 The andon frames are made exactly as before. As well as the grid. Save for the orientation change noted above. 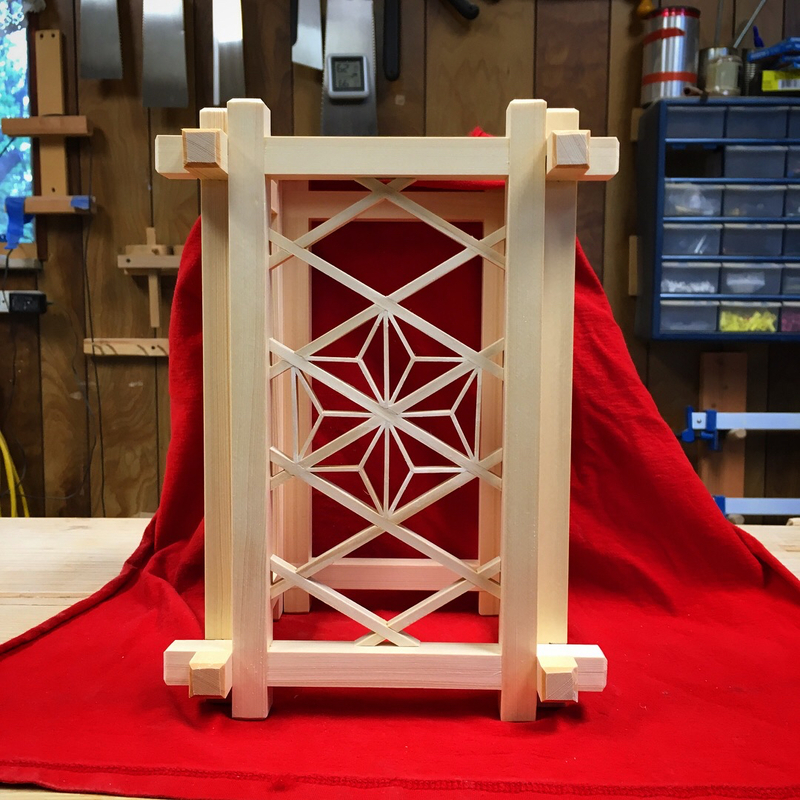 The kumiko infill pattern is made using popsicle sticks and the trimming jigs that I made. 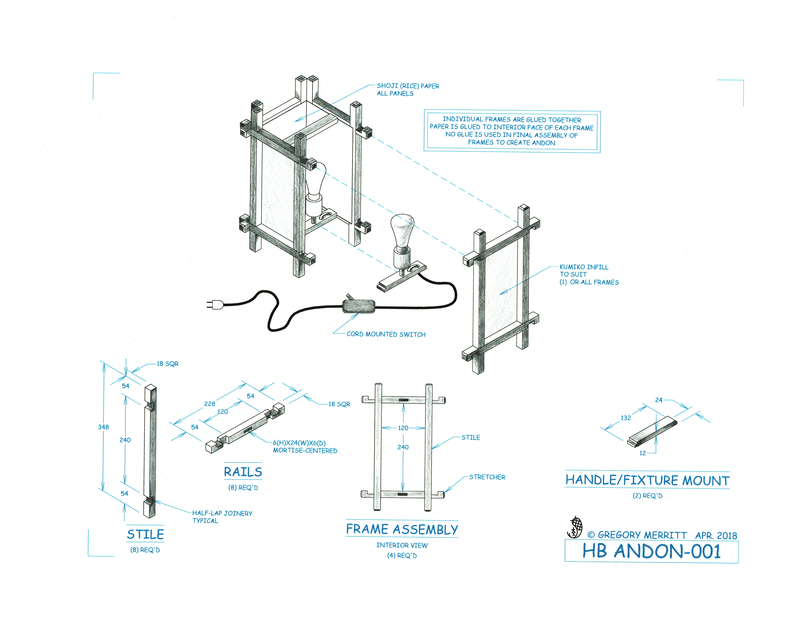 The completed grid assembly was then trimmed and fitted to one of the andon frames. I’m going to try to make a stand from which to hang this andon and I’m pretty much making it up as I go along. So far all I have completed is the base. This entry was posted in HB Andon Lamp and tagged andon, kumiko, shoji lamp. Bookmark the permalink. Great planning and great work. Really cool stuff, Greg. Very inspiring. And somehow the thickness of the popcicle sticks seems to be in just the right proportion to the thickness of the grid pieces. Hey thanks Matt. 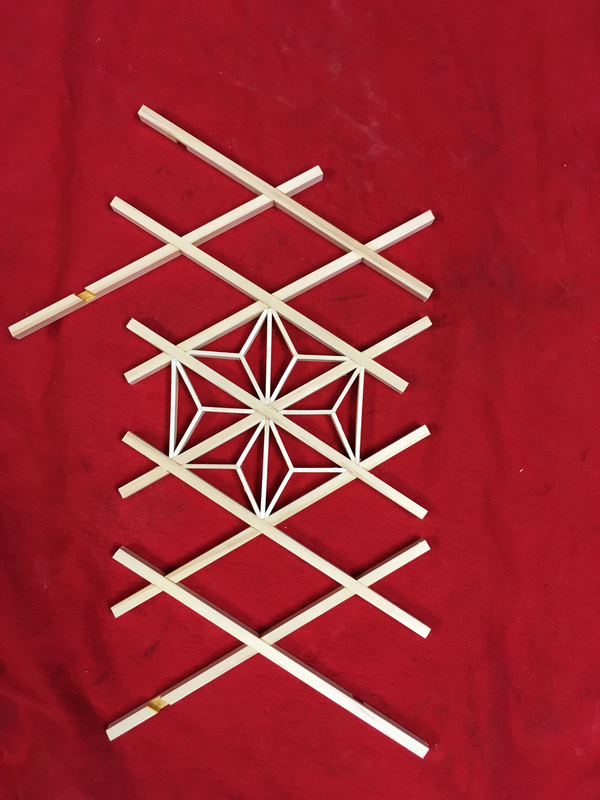 The popsicle sticks are exactly 1/3 the thickness of the grid pieces. Almost like I planned it. LOL. My attempts are still a bit rough, but it is a lot of fun. I just read your last three post. This is really nice and would surely make nice presents. I should try this. 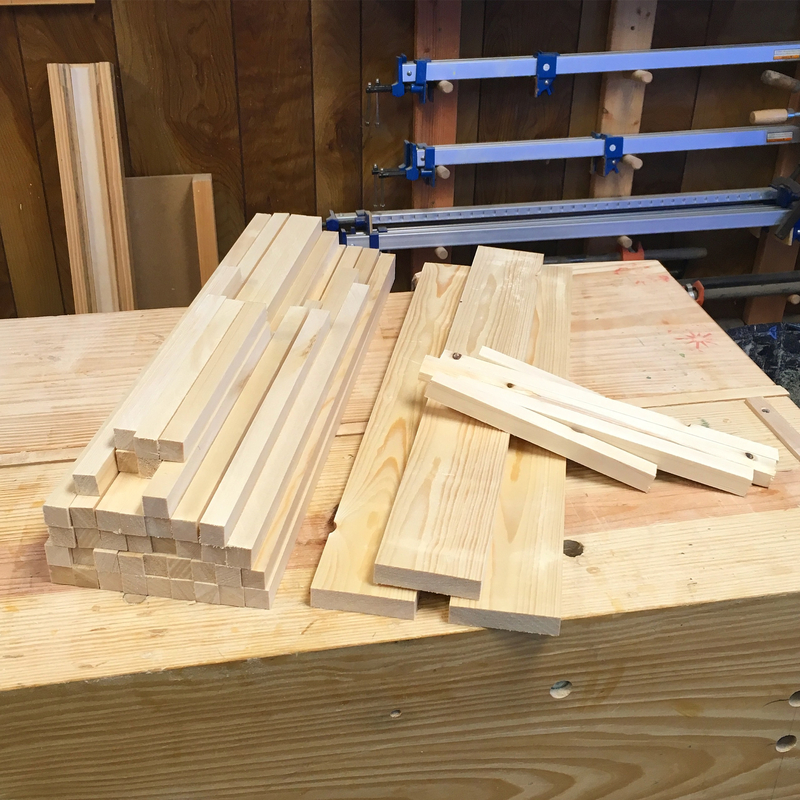 Fortunately You have found the popsicle sticks, otherwise, planing long thin strips of wood can be done with something shown on a Roubo plate. The jig is clamped in the vise and you pull the strip with one hand while pushing (“as much as needed” [sic]) on the lever with the other hand. Repeat until the lever is bottoming and the iron doesn’t take anything more. Then flip the strip end for end to make the other end. I guess it would work better with straight grain. 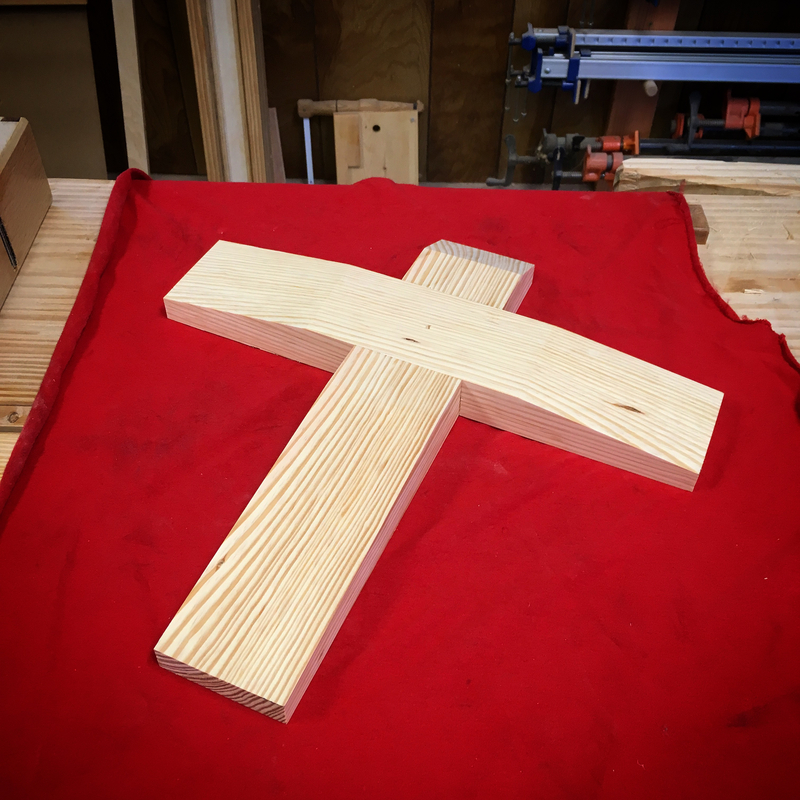 I might try this by screwing a spokeshave to a block of wood clamped in the vise and figure out how to make the lever part. The lever must be protected against wear by a piece of iron. It is a good bit of fun Sylvain. 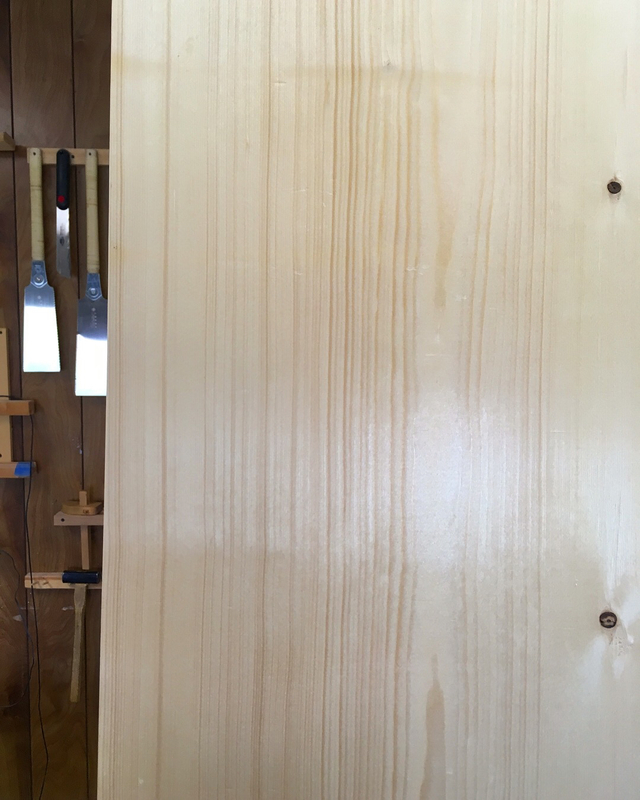 Producing the thin, identical strips is the most difficult part of the process for the average woodworker. 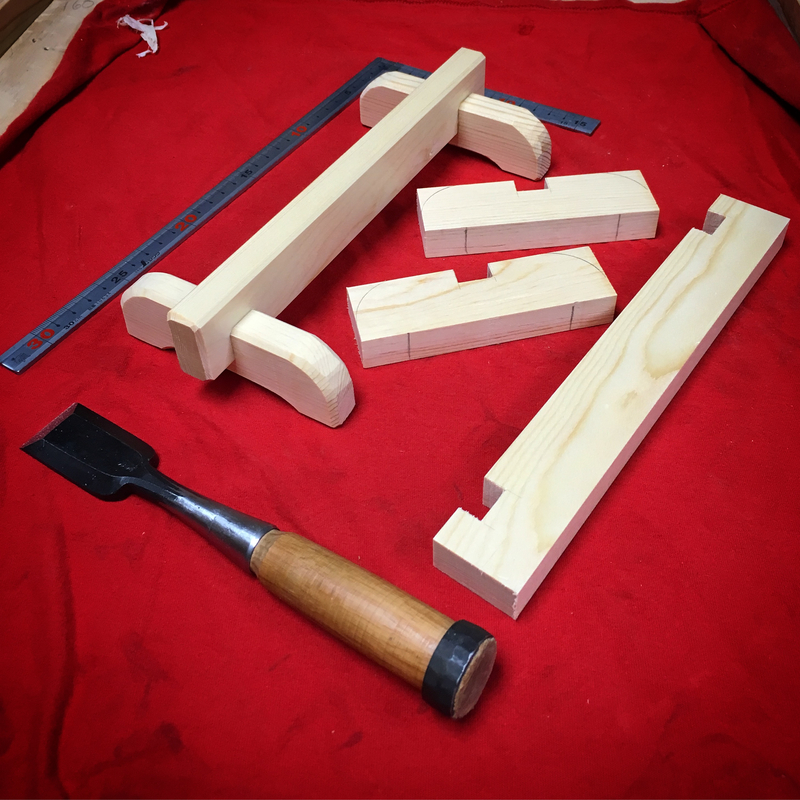 The Roubo solution puts me in mind of a leather skiver. The Japanese developed a special plane for the task. 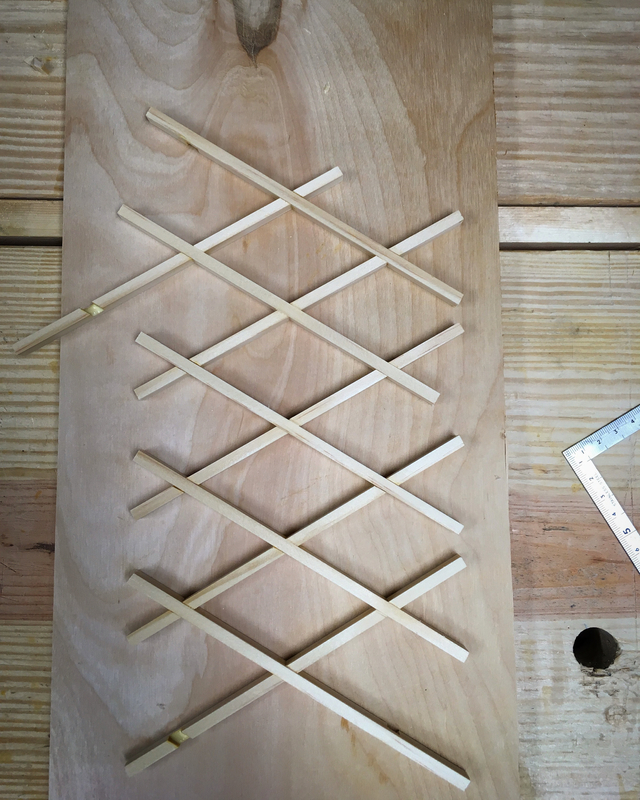 The popsicle sticks work pretty well though and make for an easy solution for small-scale projects. LOL…I’m not all that obsessed with getting boards. I find that there is almost always at least one useable board in the stack when I need one.